I’ve been worried about drones since their advent, and my early concerns are now coming true. Almost 10 years ago, I phoned the RCMP to alert them to drone activity within the Penticton airport control zone. I was told to call the Penticton Flight Service Station, which I did. The Penticton Flight Service Station told me to call the RCMP. No one had a freakin’ clue. Nor did they appear to care or be concerned that there were objects flying without permission within the ‘control zone’ of the airport. Snce then, drones have disrupted firefighter efforts right in my neighbourhood. Drones are now creating chaos around the world. It’s only a matter of time before they are used in terrorist attacks, IMHO. In December 2018, a drone attack grounded 1,000 flights at the Gatwick airport in England AND a drone hit an AeroMexico 737 on approach to Tijuana, Mexico. 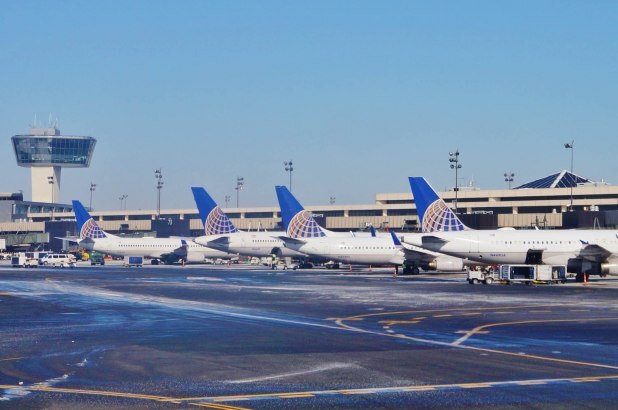 Today, all flights bound for Newark Airport were halted on Tuesday evening after two pilots reported seeing a drone flying nearby, the Federal Aviation Administration said. OK, when will this nonsense stop? Drone operators need to be licensed and their drones registered to ensure they understand where and when they can fly their ‘toys’. In the U.S. gun owners don’t even need to be licensed or to register their firearms. Meaning that anyone anywhere can carry a firearm in the U.S. for all intents and purposes. We actually know folks who purposely make their firearms untraceable, i.e. they file the registration numbers off of their firearms. I personally can’t imagine WHY innocent, law-abiding citizens would do that unless they’ve been brainwashed into believing that government legislation is NOT intended to protect its citizens. As a Canadian, where good gun laws exist to protect citizens, I can’t imagine feeling that fearful of my neighbors and fellow citizens. But, let’s be honest about U.S. gun culture. Whatever ‘rules’ are in place restricting firearms in certain States are completely meaningless… until someone gets shot and the felon gets caught, and THAT doesn’t happen most of the time. Remember the October 1, 2017 Las Vegas shooting when 58 people were massacred at a concert? Remember Sandy Hook? Given those failures of change in attitudes to weapons, it’s doubtful drones will be registered any time soon in the U.S.
Drones, like guns, can be (and have been) used as terrorist weapons and therefore their owners need to be licensed, and their drones need to be registered, i.e. no filing off of registration numbers, ever. Granted, I don’t expect that to happen anytime soon in the U.S.A., but perhaps in reasonable countries like Canada and the U.K. which truly want to protect their citizens from idiots, we can hope that reasonable legislation can be enacted.